Welcome to my new website designed by the talented and versatile, Heather Cairncross. 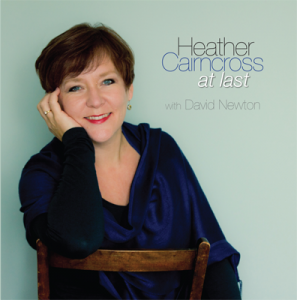 Heather’s highly acclaimed album At Last was released earlier this year to wonderful reviews. Heather’s voice was my inspiration for Grace in Just Henry. You can hear clips from all fourteen songs from At Last by clicking HERE. By an extraordinary coincidence, the composer of a one woman jazz musical hello life! originally written for Heather, is bringing out an album in November. The album New Things To Say will include four of the songs from it. Heather and I created the book, I wrote the lyrics and Alexander L’Estrange wrote the music. It was Heather’s performance in the musical which won Pick of the Fringe at the Brighton Fringe Festival. 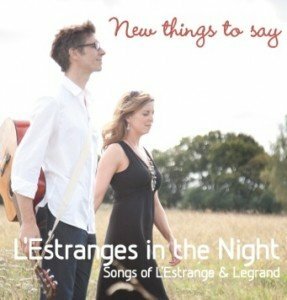 The album will be performed by Alexander and his wife Joanna Forbes L’Estrange otherwise known as the duo, L’Estranges in the Night with guest musicians. And for those who laughed at radio 4’s hilarious series Two Pipe Problems, written by Michael Chaplin, and starring Richard Briers and Stanley Baxter as resident sleuths living in a retirement home for members of the theatrical profession, keep your ears peeled. A new episode is about to be recorded for Radio 4. It was Michael who adapted Just Henry for ITV. Update: New Things To Say is available now by clicking on the CD Cover.